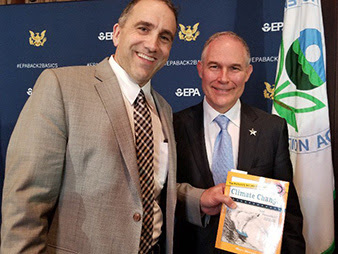 E&E News: "Blogger Marc Morano presented his book, "The Politically Incorrect Guide to Climate Change," to Pruitt yesterday. Morano/Twitter"
Media smears climate skeptics "those who deny mainstream climate science and who have worked to tear down climate regulations." 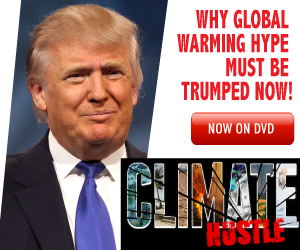 Media says Morano "runs a climate science denial website." 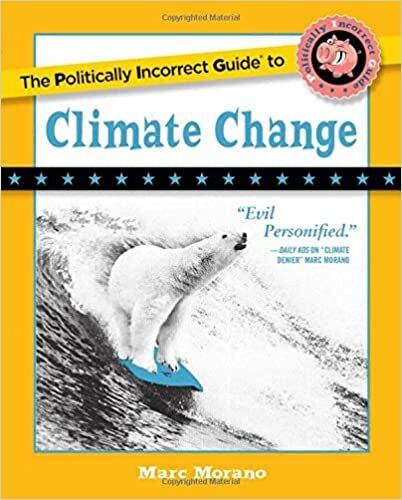 Excerpt: The audience allowed into the event, visible on a livestream of the 15-minute presentation, included a core group of those who deny mainstream climate science and who have worked to tear down climate regulations. In addition to House Science, Space and Technology Chairman Lamar Smith (R-Texas), the audience included Will Happer, an emeritus physics professor at Princeton University and possible candidate to be Trump’s science adviser; Marc Morano, who runs a climate science denial website; Steve Milloy, a Trump EPA transition team member; and Myron Ebell of the Competitive Enterprise Institute.